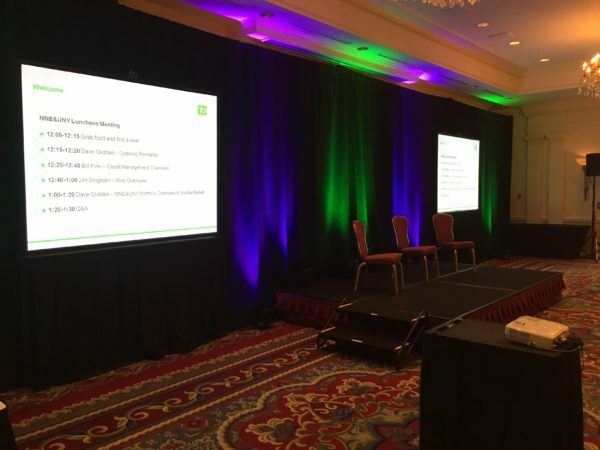 TD Bank’s commitment to personable, quality service extends to everything they do, which is why they were adamant about using an audiovisual company who would act as a true partner, not just a one-off vendor. 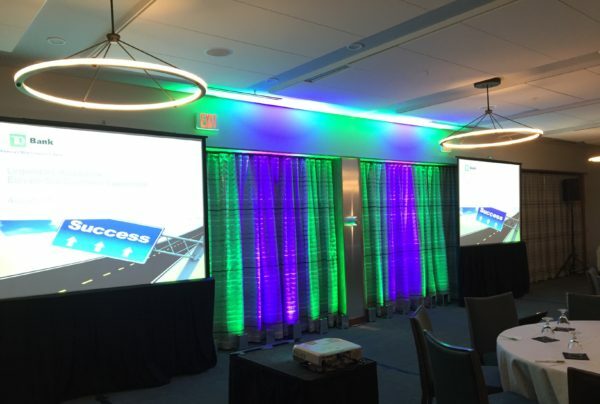 At AV Technik, we pride ourselves on delivering step-by-step support in addition to stellar technical knowledge and equipment, and it’s this hands-on approach that has since lead to such a strong relationship between our team and TD Bank. 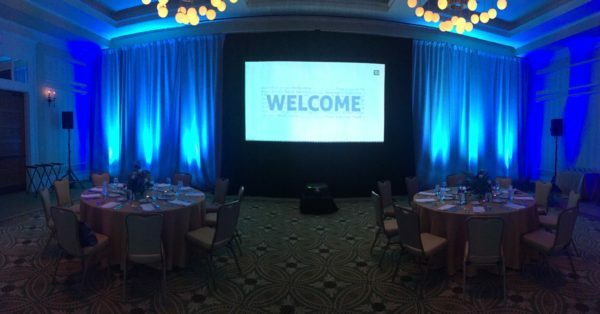 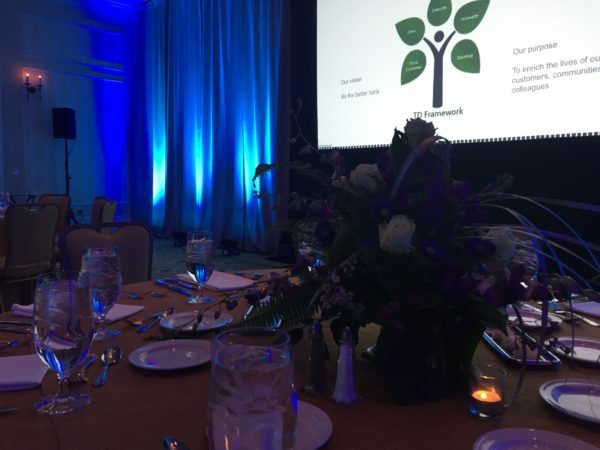 Every year, we travel to venues across New England, each with unique spacing and scheduling considerations, to help custom create events of all shapes and sizes, including meetings, conference, awards dinners and corporate celebrations. 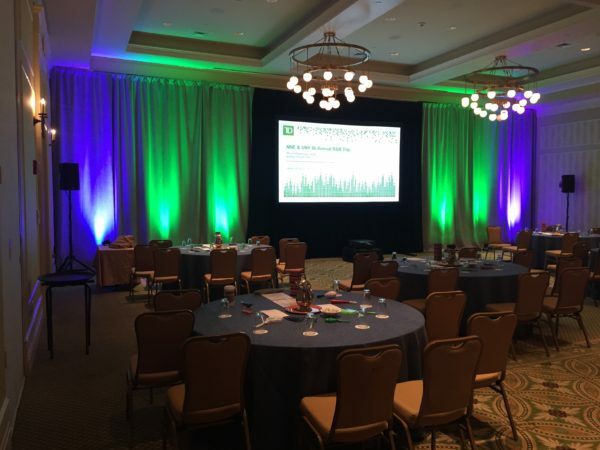 No matter the occasion, our goal at each TD Bank event is to communicate the company’s pledge to approachability and make employees feel welcome, a tone we achieve time and again through creative application of our technical skill set.